Gutters are very essential to a home. They take waste water away from your home there preventing flooding and damage in your home. To prevent these possible damages, it is important to regularly clean your gutters. It doesn’t have to be every week. But it should be just enough to ensure efficient routing of water away from the home. How often then should you clean your gutters? The number of times you should clean your gutters is not carved in stone. You can clean it as often as you want. However, there are a few factors that could help you determine how often you gutters need cleaning. Your environment or surroundings play an important role in this determination. For example, you may live close to trees that shed leaves alot and this will increase the amount of dirt on your gutters. You may also live in an area with ample vegetation, this will also increase the amount of gunk in your gutters. Living in an environment like these would mean cleaning your gutters at least every other month to prevent blockage and gutter damage. During fall, leaves and debris need to be cleaned off the gutters regularly. This is entirely necessary because leaves can get into the gutters, accumulate there and cause blockage and damage. During winter, keeping you gutters clean is also important. While there may be no leaves or gunk, but there is the danger of ice blockage. There could be build up of ice in the gutters during winter, this buildup will prevent the flow of melting ice out of the gutters and may cause flooding or gutter damage. 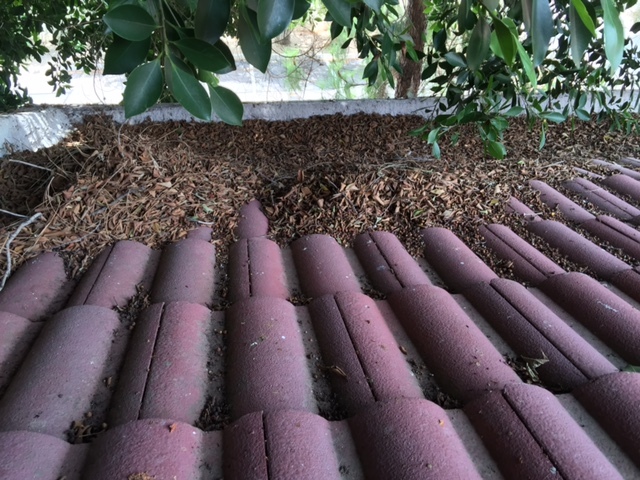 You can clean your gutters during off seasons. For example, you could trying cleaning your gutters at the beginning of fall, or close to the end of summer. You do this to get rid of all accumulated gunk. When the gutters are free of dirt and it starts raining, then it would efficiently route water away from your home. This helps prevent clogging, flooding and gutter damage. Cleaning your gutters could be done twice a year. But as seen, factors like your environment, seasons and off-seasons can weigh in on your decision. Arizona Window Washers has experts you can talk to about your gutters, the sort of environment you live and other factors you may have that would determine how often your gutters are cleaned. We are happy to be of service to you. We will answer questions you have and offer professional advice. We want to help you make sure your gutters remain in good shape and will efficiently route water away from your home. 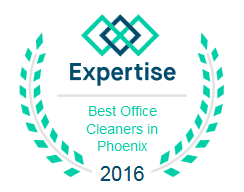 This entry was posted in Window Cleaning and tagged gutter, gutter cleaning, gutter cleaning arizona, gutter cleaning phoenix, gutter damage, gutter washing. Bookmark the permalink.